Immediately as I mention pocket screws, many woodworkers’ eyes roll back into the heads as if this method of joinery is totally unacceptable. Of course, there are places where the use of pocket screws is not the best choice. 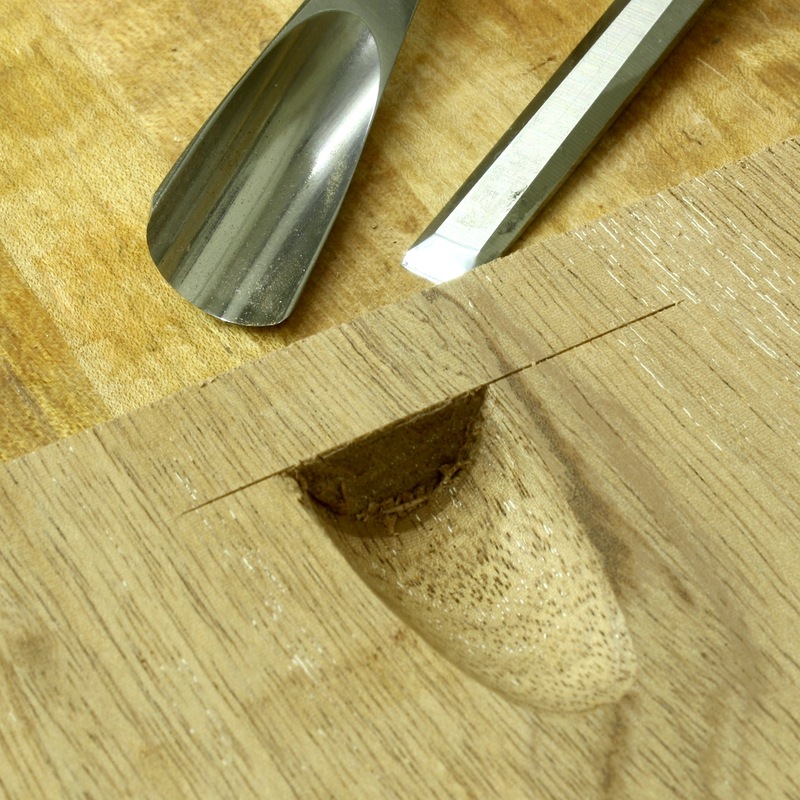 There are also places in woodworking where the joint is the perfect solution. It’s up to us to know the difference and where to draw the line. But the more you discover about pocket screws, the more fuzzy the line becomes. I’ve been in million-dollar homes, standing in kitchens that easily cost six figures, and the face frames on the cabinets were pocket screwed. Perfectly acceptable? You betcha. But that’s not furniture, right? No it’s not, but the quote above is about furniture. It’s about great furniture. Museum-quality stuff. The quote is taken from the book by Robert D. Mussey Jr. titled, “The Furniture Masterworks of John & Thomas Seymour.” The Father and son team used pocket screws. This method of joinery is not a new concept conjured up by the Kreg company, but it has elevated pocket screws to a whole new level. 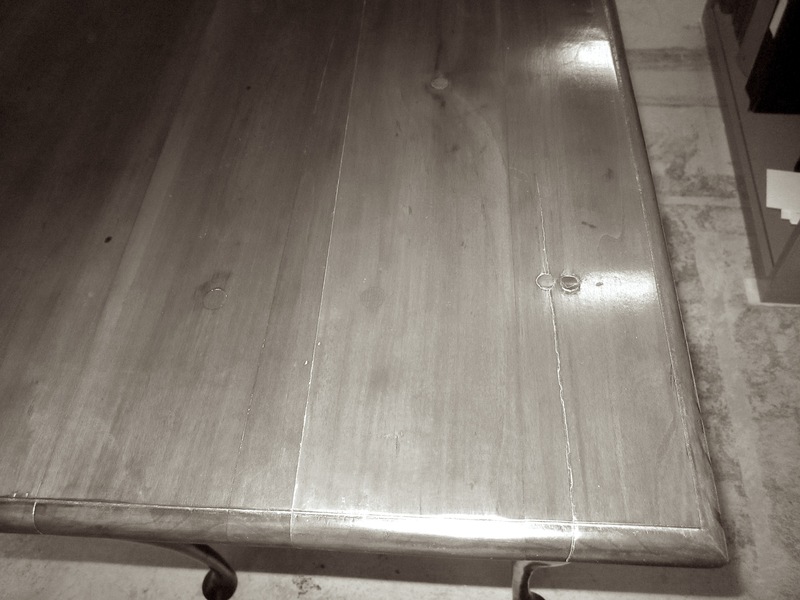 The reason I write about pocket screws this morning is that I have a decision to make on the lowboy I’m building based on the piece found at the Connecticut Historical Society. The lowboy has no front rail at the top of the case – the drawers kick right up against the underside of the top. There is no room for wooden clips, and I hate “figure eight” fasteners. Therefore, to attach the top I need to be creative. Or not. The top on the original was nailed or pegged to the case. I’ve seen a number of antiques that have tops nailed in place, so it’s not out of the ordinary to do so. The problem I have is that at one of the pegs – it looks like a round dowel – the top has cracked. I’m not looking to repeat that problem, but I do need a secure top. In one of the photos I have of the original, you can see a metal angle used to gain a hold. I don’t think that is how the piece was built, but a later addition. Not what I’m after. As a result, I’m turning to pocket screws. And while I have respect for the Kreg joinery setup, I’m looking for something more traditional. Yesterday I scanned the above-mentioned book to find ideas. I had it in my head that most pocket screws holes in antique furniture were basically v-shaped cuts, then I re-discovered the Seymour pockets. Their pockets were rounded, tapered and neatly shaped. I had something to work toward. Below is a test piece I made using all three methods. 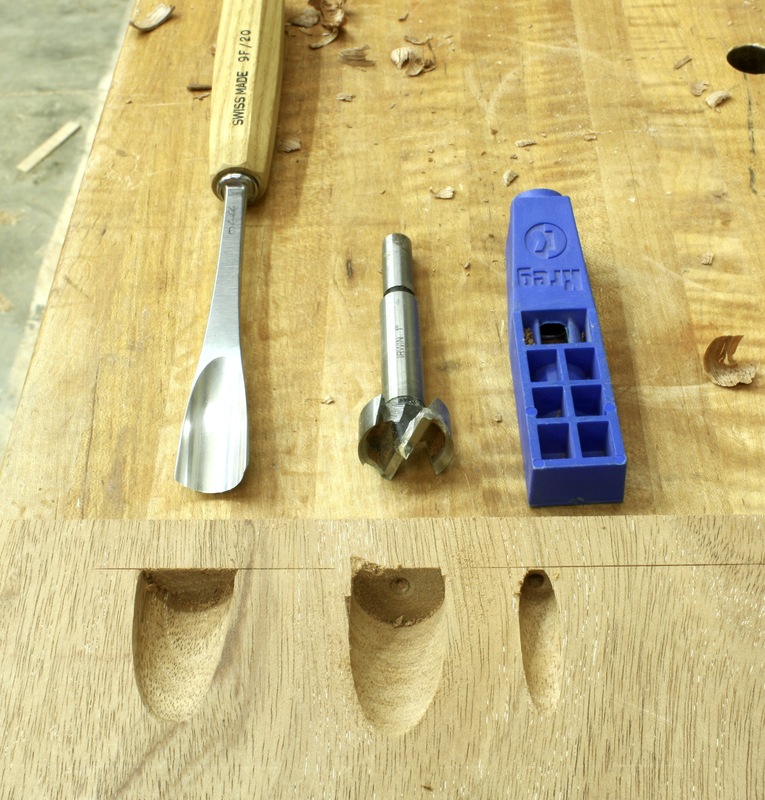 Each of the different pockets are aligned with the tools used to make those pockets. Which am I going to use? Easy. If you read the quote above, it states that the “screw gains” (fancy-speak for pocket holes) were drilled and carved. 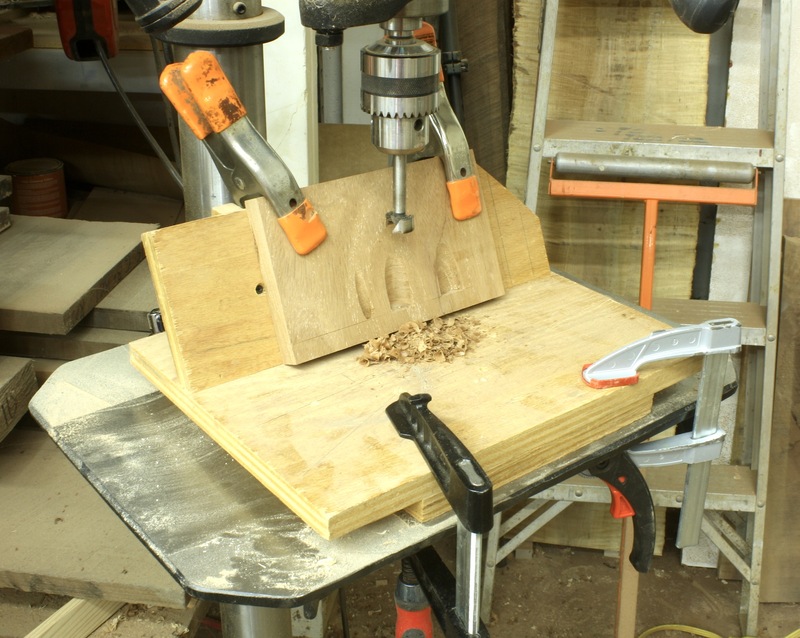 I plan to drill the bulk of the waste using the jig and drill press, then clean the gains with my carving gouge. Which method would you use?